I love to hunt, but seeing as hunting season opens in fall and runs through part of winter it mixes with something I hate, cold weather. I am cold most of the time. I mean I get cold after I stop running in July. Rarely am I ever hot, if I'm hot usually I'm about to be sick. 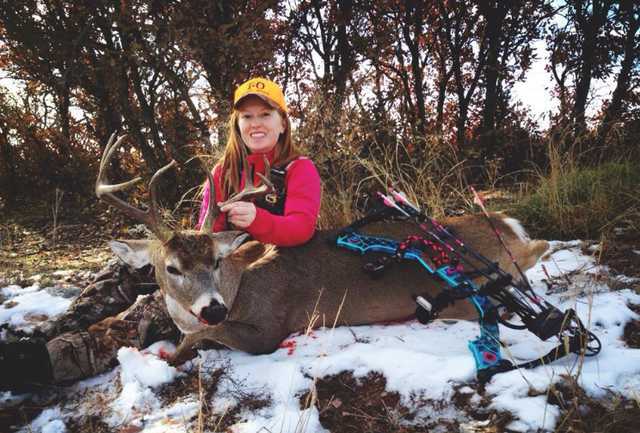 This makes late season hunting hard. 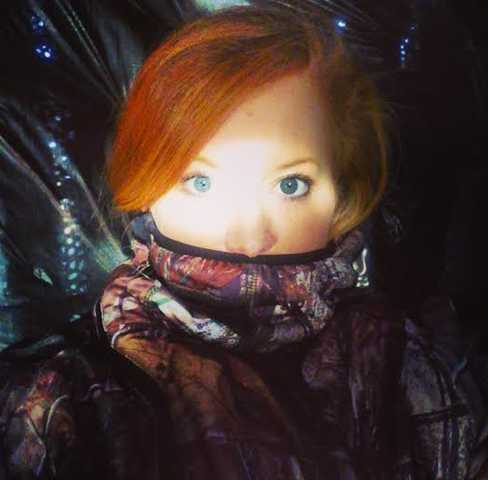 Sitting still in a stand presents the worst of getting cold, if I can't move my extremities get cold almost immediately. Besides owning stock in hot hands or hunting with a rifle (in an insulated enclosed blind), I haven't found a way to stay warm until this year. I had been looking at some sort of "bag" type of hunting garment, in hopes of staying warm despite the crappy weather. I have another Pretty Big Boy on my hit list, and he's old and smart, so I know I'll be spending some crappy days in the stand in hopes he comes out. 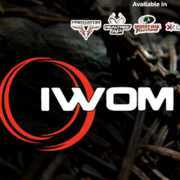 After all of my research, I decided on the IWOM Outerwear XT (Brutal Gear Series). The idea of unzipping to shoot and losing my heat didn't really excite me, nor did the fact I would have to unzip to access my phone, binos, etc. I had been looking at some sort of "bag" type of hunting garment, in hopes of staying warm despite the crappy weather. I have another Pretty Big Boy on my hit list, and he's old and smart, so I know I'll be spending some crappy days in the stand in hopes he comes out. After all of my research, I decided on the IWOM Outerwear XT (Brutal Gear Series). The idea of unzipping to shoot and losing my heat didn't really excite me, nor did the fact I would have to unzip to access my phone, binos, etc. When I placed my order I got an almost immediate response from the IWOM team wanting to double check to make sure I had ordered the right size, and asking how I had found them. I'm 5'5" & 125ish pounds, and ordered the 5'4"-5'8" Medium/Large. I must say the customer service from IWOM appears to be fantastic. When my IWOM arrived, I continued to be impressed. I'm fairly certain IWOM forgot nothing when it came to making the XT. There are plenty of pockets on the IWOM, the pouch beneath the the handwarmer muff is HUGE. I can fit my hunting sidearm, a flashlight, and my binos in it. There are arm gaiters with thumbholes which are great for keeping your hands even warmer, and warm once you take them out of the muff. I can shoot with them on if I need to. The IWOM has two hoods, which was a great idea on their part. The inner hood is made of stretchy, but warm, material. It fits snugly against your head, but keeps your ears very warm without disrupting your hearing very much. It also helps keep your face very warm. It doesn't however like long haired creatures like myself. I have to make sure my hair is properly secured before using this hood, otherwise I look like a camo ginger lion with hair sticking out all around my face. The outer hood is definitely for extreme conditions. I haven't used mine yet, but I assume it's for rain, or snow situations. It has a fairly stiff brim which would be great for either of the earlier mentioned situations. It would also be useful if it was very windy out. The IWOM handles the wind like a champ. When I've hunted with it on I haven't gotten cold, and Oklahoma is a very windy place. I haven't worn it during any type of precipitation, but I feel like it would handle it well. The IWOM is a little noisy, but to stay warm (windproof) I can handle a little noise. In a ground blind like I've hunted in mostly this year there is a problem. I set in a swivel chair, and mostly set facing forward. In order to shoot I need to be turned, and in order to turn in the IWOM it take a bit of effort. This isn't a huge hurdle, but is a little bit trying the first few times you do it. You can leave your feet unzipped, but seeing as my feet are always the first to get cold, I have to stay zipped in. The IWOM has a hole for a tree stand harness, and it's well padded/insulated near it so that you stay comfortable. I haven't tried this feature out yet, since I have only been ground blind hunting while wearing it. Overall, I'm in love with my IWOM. I cannot say enough great things about it. While a few things about it pose small challenges, they would never deter me from wearing it. Obviously, taking a deer the first day I was wearing it helped boost my confidence in it. I am no stealthy ninja, and if I can get into my shooting "stance" (while in a chair), and get my bow drawn while wearing it, the challenges really aren't that great. 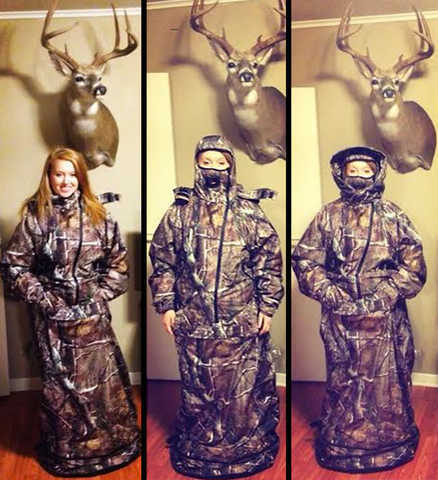 I have had no issue staying warm while wearing it, and it has now become a must for me to pack with me when I'm hunting. ***The makers of IWOM Outerwear only know who I am from the purchase I made through them. They in no way supported, compensated, or acknowledged anything stated above, and they will most likely read it long after most of you have. I just really love the darn thing, and it keeps me warm. **Thanks to my sweet husband for getting the IWOM for me. So thankful he supports me in all my endeavors, and makes sure I'm comfortable when partaking in them. Awesome product! Definitely better thought out and designed than some of the other products out there! The ability to keep warm and stay out all day increases chance at success x 10! I purchased my IWOM at the Harrisburg PA show this past February and can't hardly wait to use it this fall in the cold weather of late season archery in Wisconsin. I also was impressed with the product functions and quality. Sounds like a great product. Thanks for sharing!